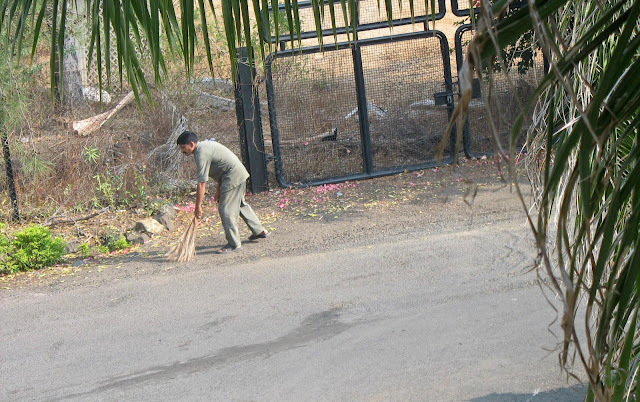 Here are some photos of people sweeping public spaces. Two of the pictures were shot outside food court on the Mumbai-Pune Expressway. One of the pictures is taken on Marine Drive in Mumbai. That is the first pic. The men usually wear bright coloured orange reflective jackets as they work on a busy road where vehicles move at a high speed. 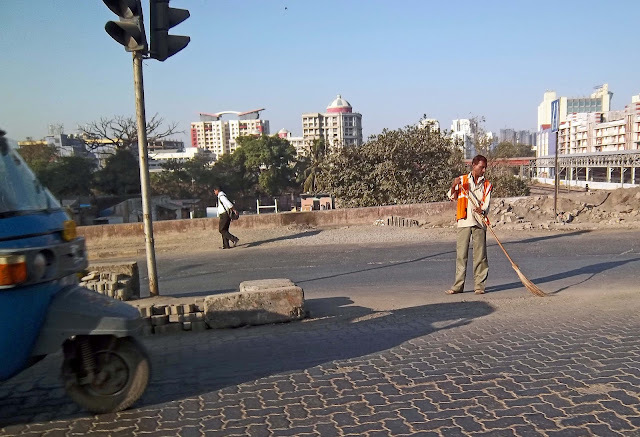 The picture below is a high resolution picture of a man in a reflective jacket sweeping the roads of Mumbai. He is a municipal worker. The third photograph is a favourite, of a saree-clad lady. I liked it particularly because of the angle. 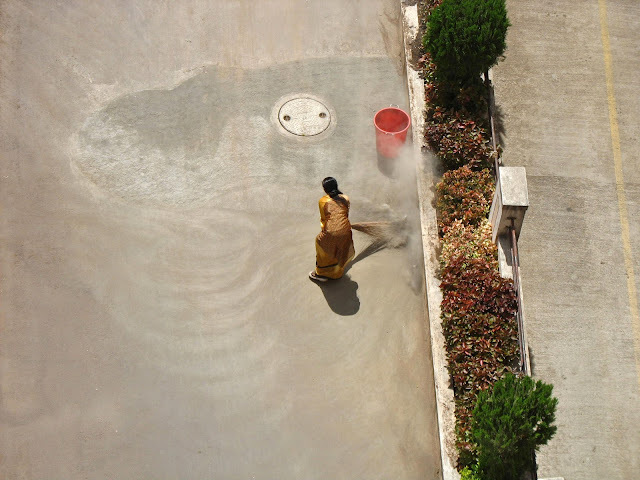 The shadow of the broom and the semi-circular marks on the concrete road by the sweeping made it an interesting shot. The plainness of the concrete contrasts well with the neat, colourful hedge. She is working at a food court on the highway and is a private worker. 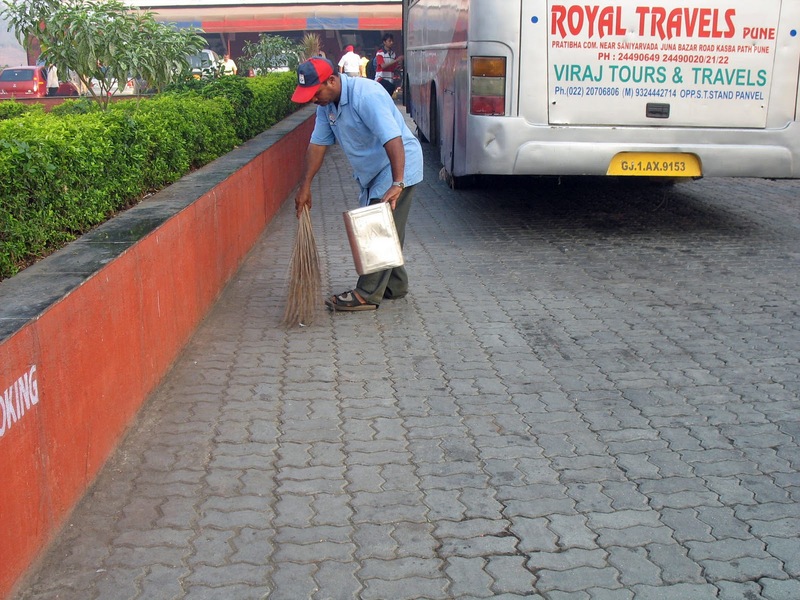 This is a photograph of a man sweeping a road outside a food court. He is wearing an uniform. 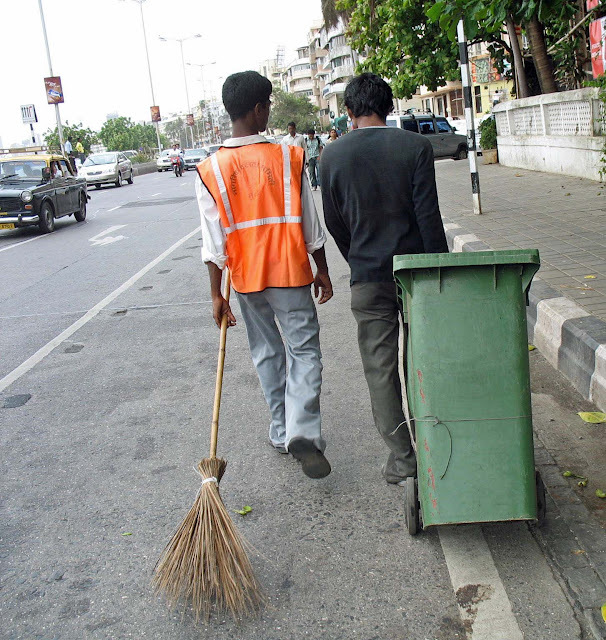 This is another photograph of a sweeper wearing an uniform. The picture was taken in the compound of Taj Hotel in Aurangabad. More images of Unskilled Labor. Hi, ive used a photo for my facebook post.